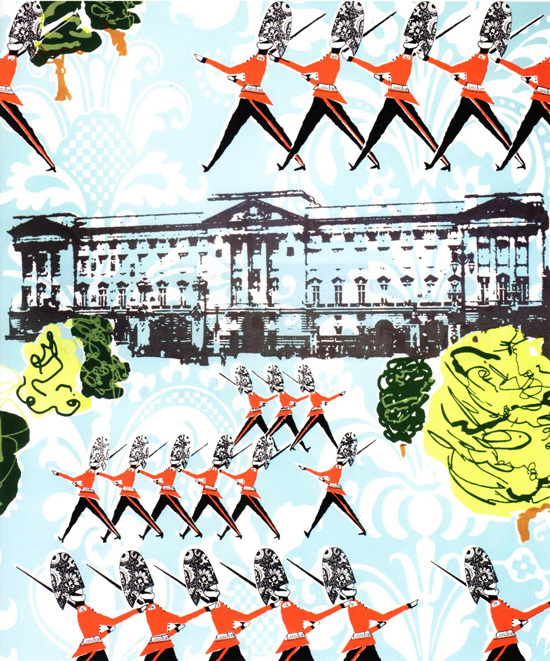 Creative Sketchbook: Beautifully British Wallpapers by Lizzie Allen! 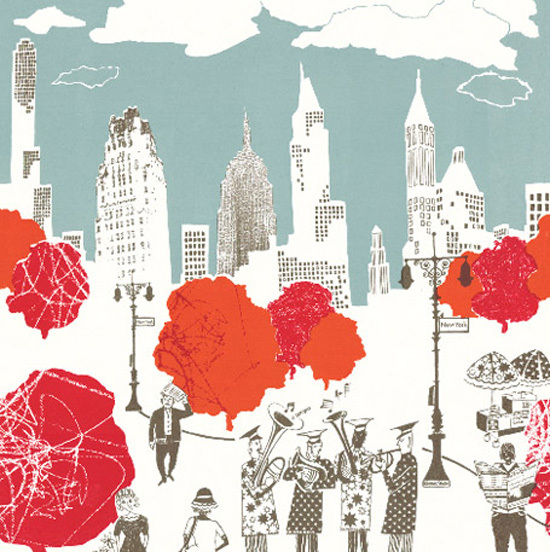 I have been a lover of Lizzie Allen's quirky prints for a while and I think they are a real statement offering something very different. 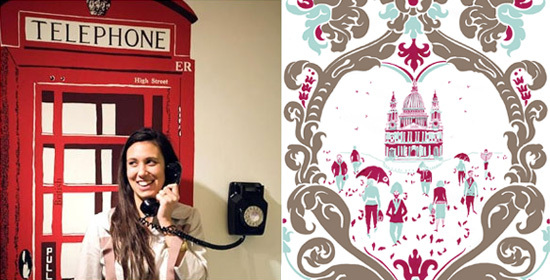 Lizzie clearly takes significant inspiration from her surroundings and home in the city of London. 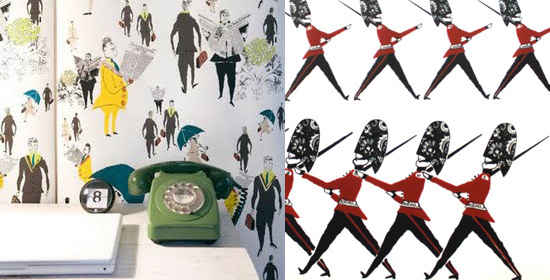 Her designs contain humorous images and themes that give her work a charming and distinctive feel, appealing to a niche area of the wallpaper market. 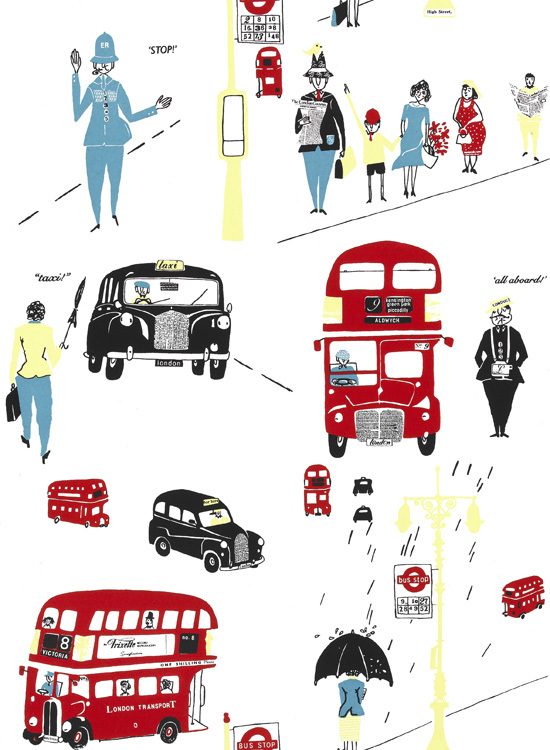 Everyday life is beautifully captured including Her Majesty's soldiers marching, city skylines, distinctive red buses and old fashioned telephone boxes to name but a few. 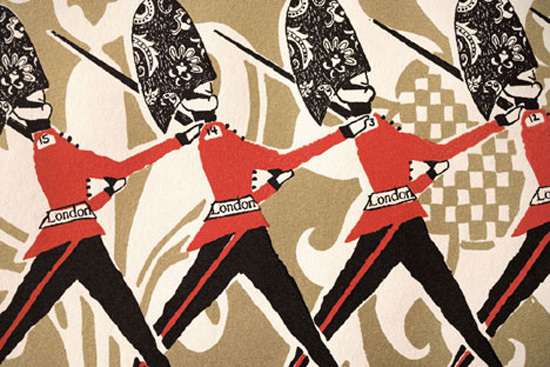 All her designs are screen printed by hand, here in the UK in small batches to order. This must be a time consuming process but results in colourful, high quality and detailed designs. You will be the envy of others with a statement wall like these!